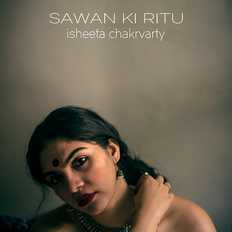 Isheeta Chakrvarty | OK Listen! Trained and mentored by maestros in the fields of Hindustani classical music as well as Jazz, Isheeta performs with the legendary Louiz Banks, George Brooks, Sanjay Divecha, Joe Alvarez and other veterans and new age artists like Gino Banks, Sheldon D’Silva, Dhruv Ghanekar, Warren Mendonsa, Jai Row Kavi, Raghu Dixit. She is a global concert artist performing for Jazz as well as World Music festivals, the recently concluded Java Jazz Festival 2016 being one of them apart from the La Merce Festival in Barcelona in 2014. She also toured Mexico and Bogota (Colombia) for the Cervantino Festival 2016, the biggest Latin American Festival, as part of the jazz fusion project Naad Brahma led by Joe Alvarez in collaboration with the ICCR (Indian Centre for Cultural Relations). She has made quite a mark for herself on Viacom Media’s first English singing reality show THE STAGE thoroughly impressing judges Vishal Dadlani, Ehsaan Noorani, Monica Dogra and Devraj Sanyal with her vocal prowess and captivating interpretations of popular songs by Lady Gaga, Beyonce, Lorde, Norah Jones to name a few. Post this, the versatile singer went on to perform a Qawwali with Vishal Dadlani at NH7 2015, for his tribute set to Ustad Nusrat Fateh Ali Khan taking the crowd by storm. She has recorded with composers Vishal-Shekhar, Shankar-Ehsaan-Loy and has already recorded her first playback song for Bollywood under a big production house. She made her Bollywood debut with Baby Ko Bass Pasand Hain from SULTAN composed by Vishal-Shekhar. Isheeta has dabbled in electronic music as well performing with National Award winning electronic music producer, composer and tabla virtuoso Mayookh Bhaumik for his self-titled project MAYOOKH globally. Isheeta heads her own Jazz/Pop, Jazz Fusion Collective.